As previously reported, the new government has announced the current goods and services tax (GST) will be revised from 6% to 0% on June 1. This will be followed by the reintroduction of the sales and service tax (SST), and it has now been revealed that such a move will take place within two to three months. This is according to Tun Daim Zainuddin, head of the government’s Council of Eminent Persons during a recent press conference. “SST can be established in two, three months,” he said, according to a report from The Edge. Daim didn’t explicitly state from when the timeframe will begin, but it is likely an ongoing process – GST zero-rated will apply till then. He added that the return of the SST is estimated to raise approximately RM30 billion and will mitigate the loss from GST collection. However, he did not disclose what the SST rate will be, which was previously set at 10%. 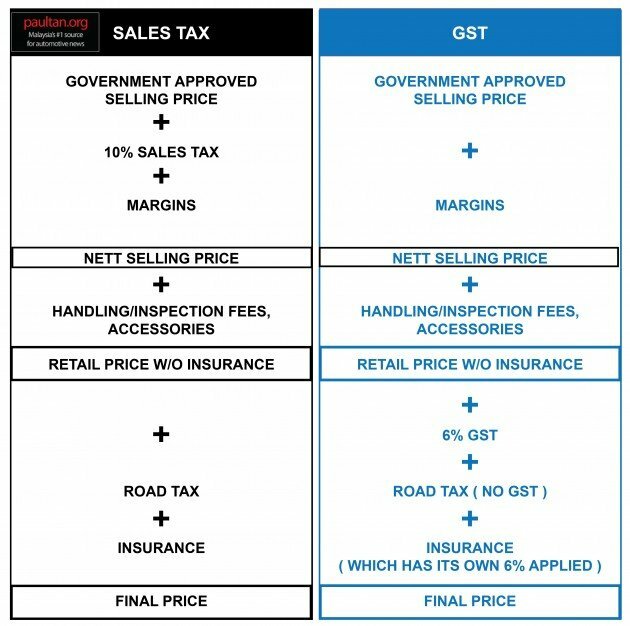 With this revelation, consumers will enjoy a relatively lengthy “tax-free window” after June 1 until the SST comes into effect, with many car companies already releasing updated price lists sans GST. This includes UMW Toyota, Volkswagen Passenger Cars Malaysia (VPCM), TC Subaru and BMW Group Malaysia, where price reductions on all models are realised, although not all at precisely 6%. Keep in mind that there is a likelihood that the implementation of the SST might result in car prices going above the GST zero-rated prices being offered from June 1, but we’ll have to wait for the exact SST rate to deduce anything further. For now, will you be looking to take advantage of the GST-free pricing? wait for the Boyue soon. Why buy now when there is turmoil and just only the Government has changed. A bit kelam kabut now. Many korup will go to jail. Sales of cars also will drop a lot cause many have no free flow of money to use to buy cars. This is demand and supply. Car prices will fall substantially cause now, people have to work hard for their money. And they will think many times before buying a car. Lots of kronies have lost their free money. Do you think Ringgit will strengthen by how many percent to mitigate price rise in cars due to SST? 10%? 20%? And does that even translate into price reduction? Some wishful thinking. Don’t be a fool. Buy a car now. Haha.. with Tun coming back into picture, whether your boyue can see the light or not remains a question. First thing Tun M will do when all his more important duties finish is to scrap the Boyue deal. He will ask….sell 49.9% of Proton for RM170 million despite pumping over RM20 billion into the company? Since SST effective date delayed, i hope Paultan can write another gst removal article on used/recon cars. This is very useful information for all consumers who looking for used/recons cars. The lost decade from 2008 to 2018. Wait for 5 yrs then UBAH! Are you sure 3 more? My wise bomoh said at least 30 elections to come..which mean until the end of the day or whichever comes first. For those who really need new cars, this is probably the best time to buy, provided that car dealers do not withdraw their existing discounts/offers. Pembangkang. Modal itu aje ke ? No GST is better! ini mau cucuk kad ATM pun kena GST 6%. We not buying a car every month but we use ATM card every week. Why bodo? Why cucuk duit kat bank lain? Cant you read whats written on your card? Your bank name? Or are u living in the middle of the jungle? Where there is only 1 meps atm machine? Why so bodo? ATM 6% subsidizing the Birkin. So No GST is better! pun an end to govt approved price. make the car companies actually compete to win the hearts of consumers. it is freaking illogical.